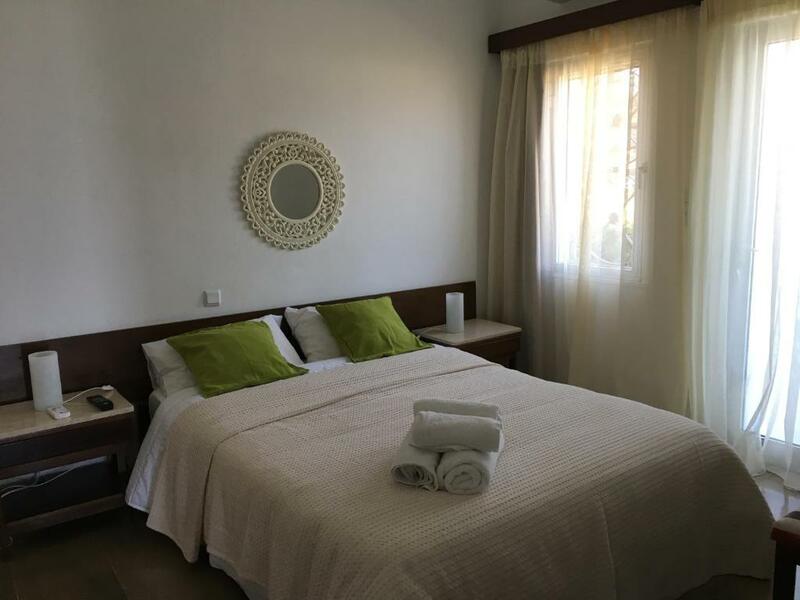 Very clean, fully staffed kitchen, maintained garden suitable for kids, just in front of the beach, close to the village center, shops and food area. Good communication with the hosts. 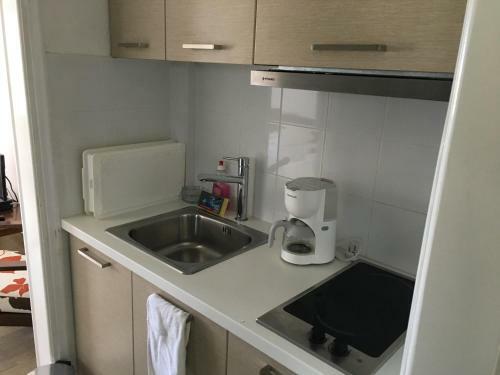 Alles zusammen ein schönes Apartment, alles super! Eυγενικοί οικοδεσπότες .Υπέροχη θέα. Ιδανικό για οικογένειες με μικρά παιδιά! -Ευγενέστατες τόσο η ιδιοκτήτρια όσο και η κοπέλα η υπεύθυνη για την καθαριότητα. -Άνετα κρεβάτια. 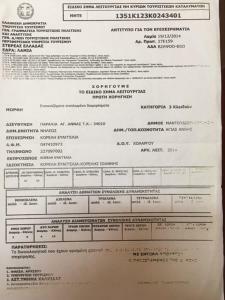 -Ψυγειοκαταψύκτης (καινούργιος και μεγάλος). -Τοποθεσία (δίπλα στη θάλασσα). -Αυλή-κήπος-μπάρμπεκιου! Ιδανικό για διακοπές με μικρά παιδιά. Από τη πρώτη στιγμή καταλαβαίνεις τη καθαριότητα. Οι ιδιοκτήτες κάνουν ότι μπορούν για να σε εξυπηρετήσουν. Ένα μικρό πρόβλημα που παρουσιάστηκε στη tv (η ευθυνη ηταν του παροχου δορυφορικής τηλεόρασης) λύθηκε άμεσα με ενεργειες του ιδιοκτήτη. Σίγουρα θα το μείνω ξανά στα συγκεκριμένα δωμάτια. Lock in a great price for Spiti sto Aigaio – rated 9.1 by recent guests! Just 150 feet from the beach in Agia Anna, Spiti sto Aigaio features self-catering accommodations with unobstructed Aegean Sea views. The property is surrounded by a well-tended garden with BBQ facilities. Free WiFi is available. 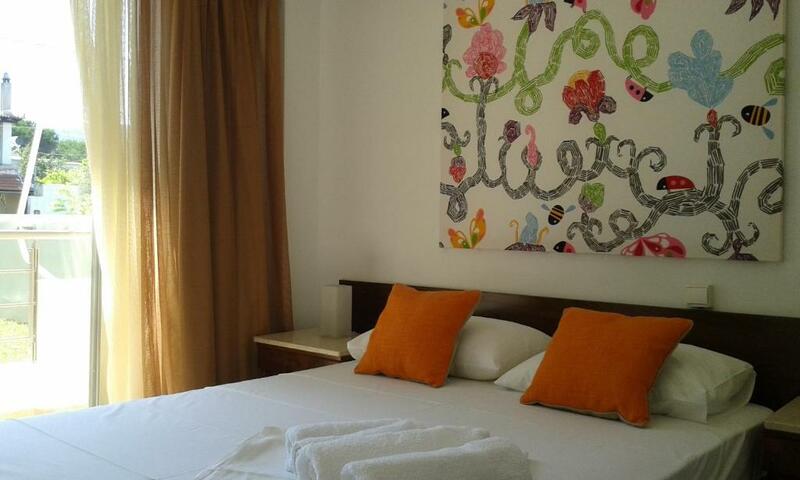 Modernly decorated, all apartments consist of a separate bedroom, well-equipped kitchenette and furnished patio. 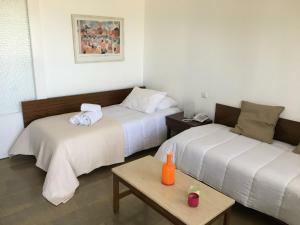 Facilities include a flat-screen TV, washing machine and free toiletries. Spiti sto Aigaio property is 4.5 mi from Kotsikias Beach and 9.3 mi from Limni Evias. The town of Halkida is around an hour drive away. This property also has one of the top-rated locations in Agia Anna! Guests are happier about it compared to other properties in the area. 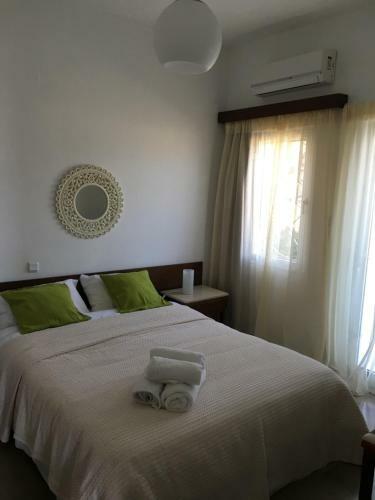 This property is also rated for the best value in Agia Anna! Guests are getting more for their money when compared to other properties in this city. When would you like to stay at Spiti sto Aigaio? Modernly decorated, this apartment is located on the ground floor and opens to a furnished patio with Aegean Sea views. It consists of a separate bedroom and a well-equipped kitchenette. Facilities include a flat-screen TV, washing machine, free toiletries and free WiFi. House Rules Spiti sto Aigaio takes special requests – add in the next step! Spiti sto Aigaio accepts these cards and reserves the right to temporarily hold an amount prior to arrival. Please inform Spiti sto Aigaio of your expected arrival time in advance. You can use the Special Requests box when booking, or contact the property directly using the contact details in your confirmation.